This release is the fourth album in the ten-part series “Songs inspired by wandering the globe,” a series based on Mike del Ferro’s worldwide travels. 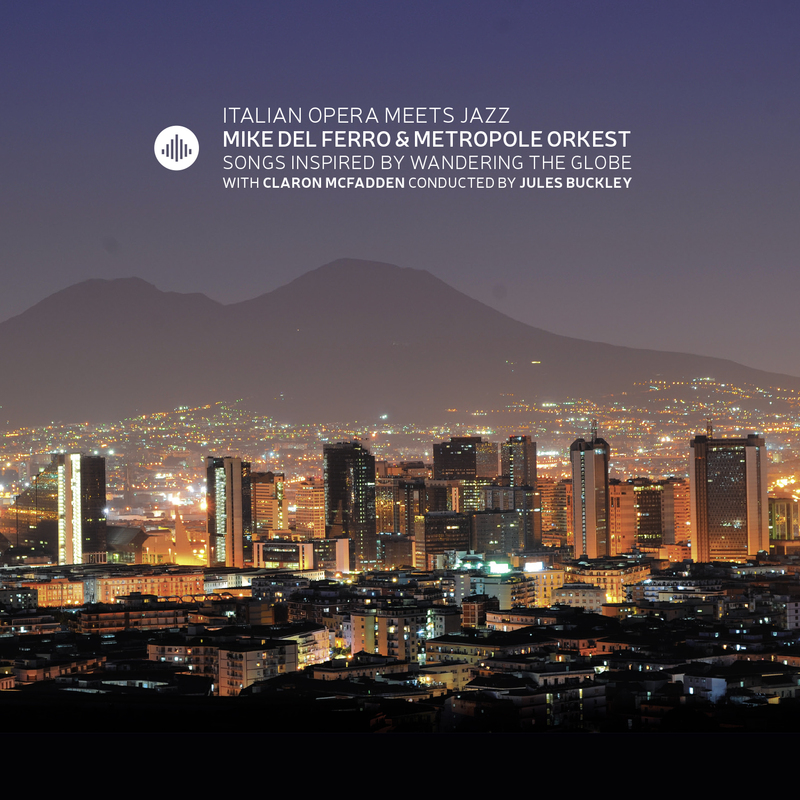 Neapolitan songs, particularly arias by Puccini and Verdi are meshed together with jazz, blues, and Afro-Cuban rhythms to create a truly unique soundscape. Pianist Mike del Ferro is an internationally renowned artist. He has appeared in 116 countries across the globe, with performances varying from solo recitals to contemporary crossovers. Ferro is joined here by guest singer, US born Claron McFadden. Her highly distinctive voice allows her to flow effortlessly between classical and jazz, opera and concert, and traditional and modern repertoire. "Mike del Ferro toured South-Africa 40 times and Japan 12 times." "" [...] This album is, despite the couple of missteps, that are pretty normal with an experiment, definetly worth to listen to. [...] ""
"Italian Opera Meets Jazz is what the title says: A crossover with Jazz, luckily for jazzpianist Del Ferro there is enough space to improvise." ""[...] Claron McFadden proved once again that her musical hero Sarah Vaughn is deep in her heart and her voice. [...]"
"[...] McFadden took the star role, beautiful harmonies were heard from the piano of Mike del Ferro and again there were those strings, wherefor my superlatives amply inadequate [...]""